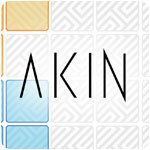 Akin Game - Download and Play Free Version! 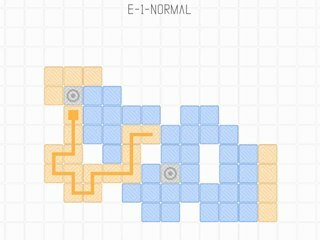 In this puzzle, you only have to draw one continuous line. When you draw on a tile, it will change color from orange to blue or from blue to orange. 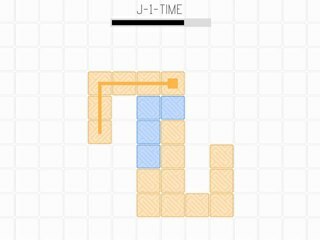 You solve each puzzle, by making all tiles Akin. Don't let the simplicity of the puzzles appearance fool you...the puzzles will get harder and will require a lot of brain power to move onto the next.